With a love of Volkswagen vans, the nostalgic vans from the 1950s that bring you straight back to the era of the hippies with their funky colours and fun vintage feel, Vantigo has created a city tour unlike any other.Vantigo was created in 2013 when Erik and Amy combined their love for these nostalgic vehicles with the love for their city of San Francisco. Today the company offers city tours, beer and wine tours, wedding chargers, company outings and more. 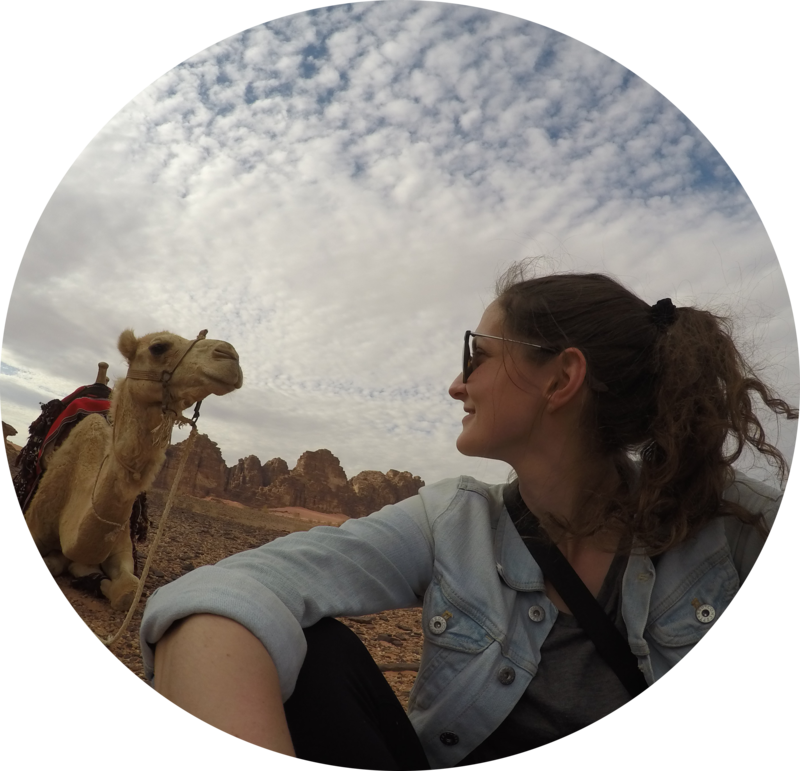 Their goal is to create a niche tour for people who want to see the touristy things in the city, but without feeling like a tourist trapped inside a large tourist bus. 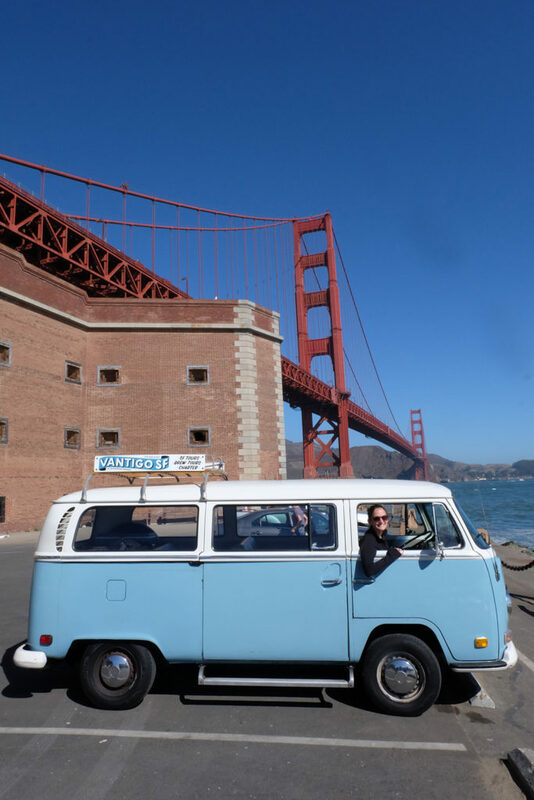 I’m someone who loves to find unique experiences when traveling, and when I was heading to San Francisco I could’ve opted for the typical hop-on-hop-off bus which is great, but I wanted something different. I found the Vantigo tour online and knew I needed to join in on the fun. 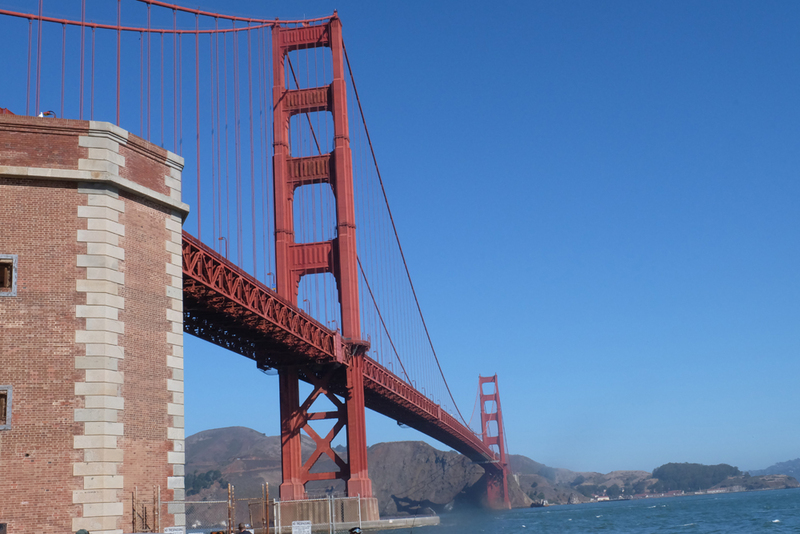 I joined the city tour of San Francisco and booked their combo ticket which included my ticket to Alcatraz too. This can be a great way to book Alcatraz, especially if you are last minute because availability to visit Alcatraz is limited. 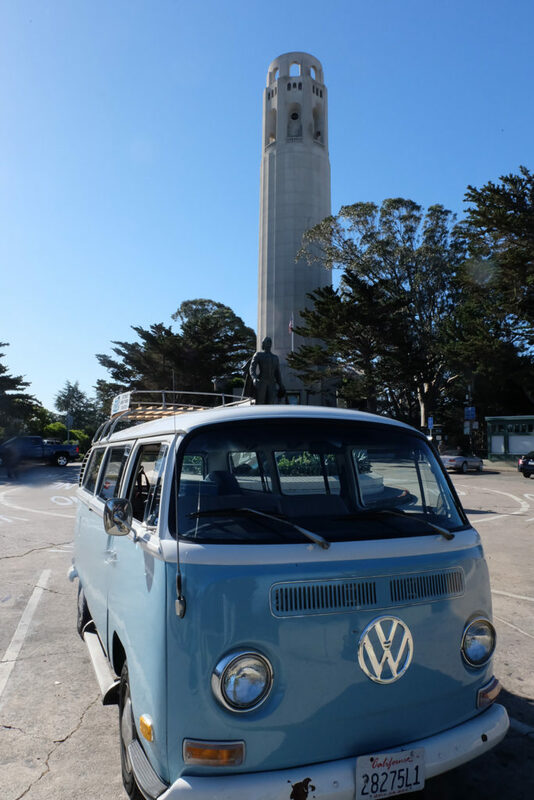 The tour offered two pick-up locations in the touristy areas of Union Square and Fisherman’s Wharf. 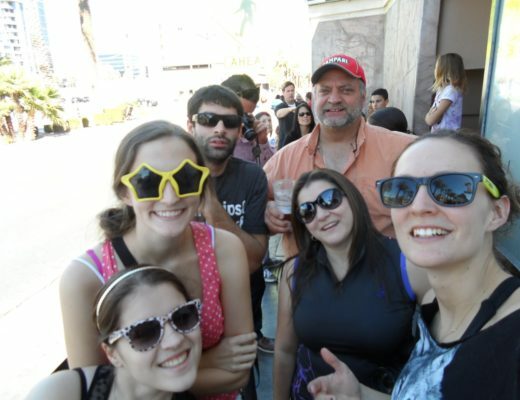 I joined the tour at Union Square and was joined by just five other people. The tours are limited to a small group given the size of the vans, which makes it intimate and way more fun in my opinion than a huge group! The tour lasts about half a day from around 9am-1pm and then if you book the Alcatraz combo ticket you’ll be dropped off at the pier to catch your ferry after that. Our tour guide, Chad was great and full of fun facts and information about the city. This wasn’t the typical bus tour where you get bored with hours of history in a monotone voice. I actually learned so much about the city and it was great that we were a small group because we could ask a ton of questions. Chad even had a curated playlist that played appropriately with different parts of our tour. 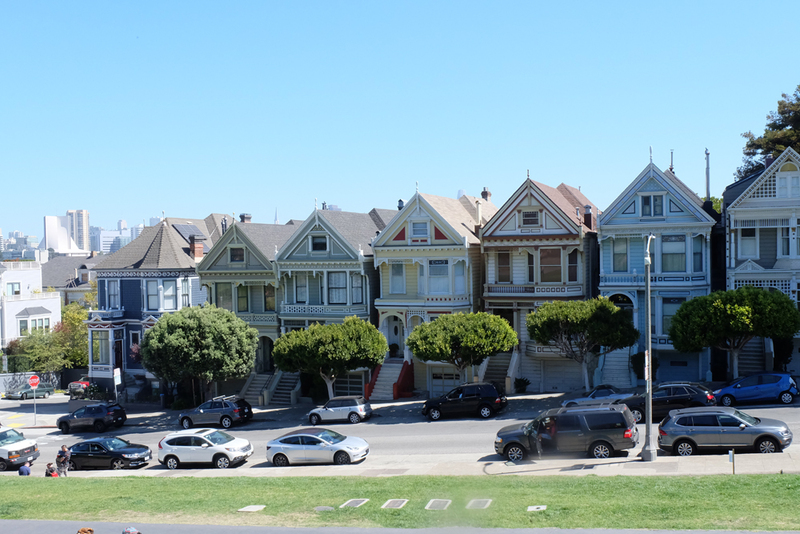 For example, the famous Full House theme song near the Painted Ladies, and the O.C. theme song while driving along the coast. 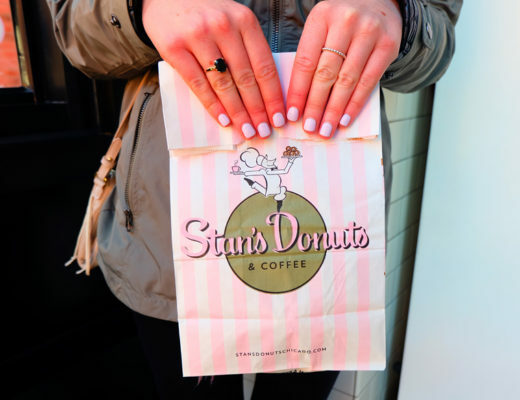 How could you go wrong? I loved it! Overall I found this tour an awesome one to see the city. 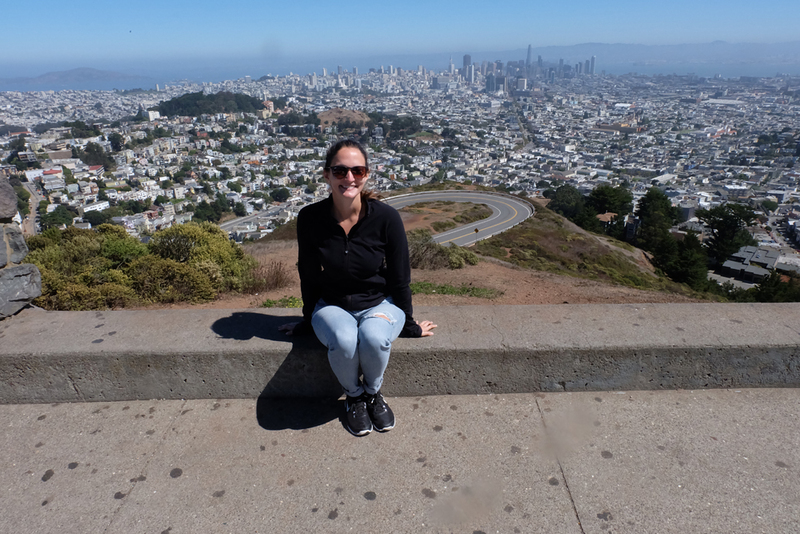 I would highly recommend it to anyone visiting San Francisco, in fact, I’ve already told two of my friends about it and told them they needed to do it! I fell in love with San Fran and Vantigo definitely helped. 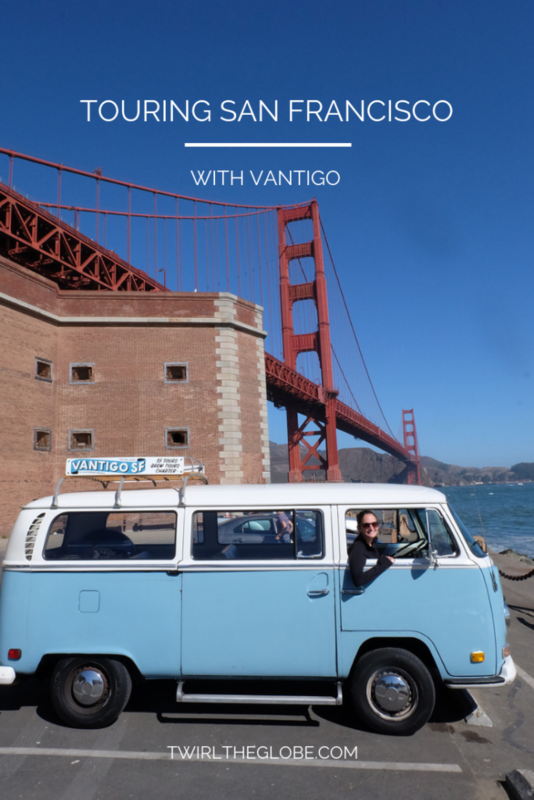 Disclaimer: My tour was provided to me free of charge by Vantigo to write a review on my experience, however I only write about things that I enjoyed and would recommend to others. All opinions in this piece are my own and 110% honest.